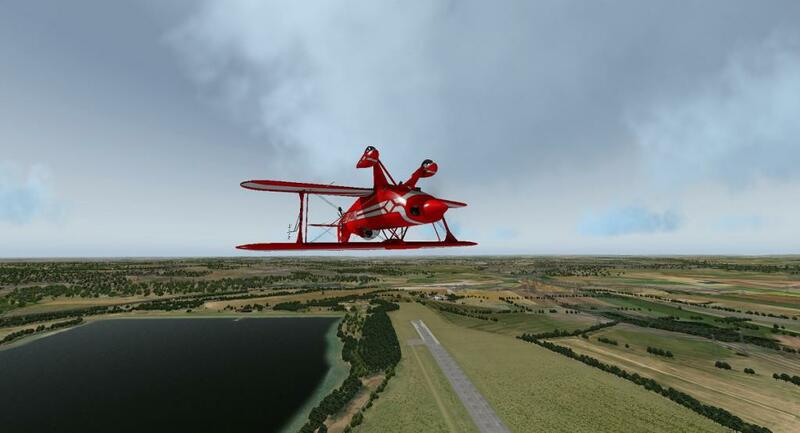 The Pitts S-2S (special) is an iconic aircraft for aerobatics all around the world, if you see a small biplane tumbling around and spinning out of control above you, it's most likely going to be the Pitts! 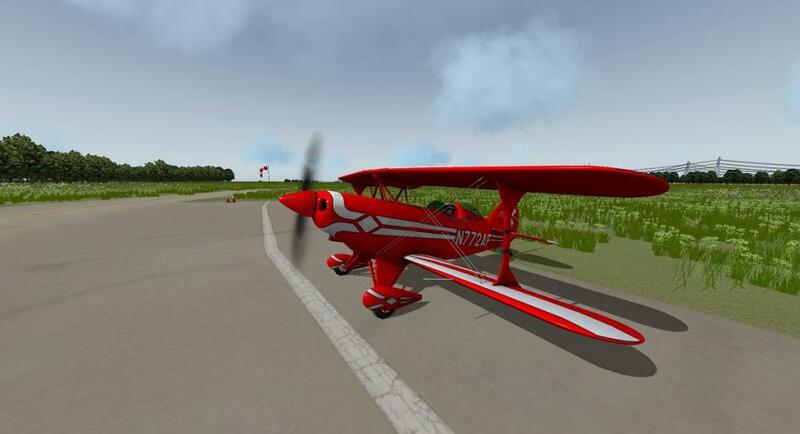 It's strong airframe and remarkable design makes it readily available for sharp turns and stunt upon the pilots command! The powerful Lycoming AEIO-540-D4A5 (260hp) is a heavier engine from the previous models of the Pitts Special but it's increased power makes it more agile in flight. The S-2S model has one single cockpit seating one pilot, other models such as the S-2C can seat two people, so you can make the passenger feel nausea and ready to vomit! The S-2S has a twin talk fuel system and a 20ft wingspan. 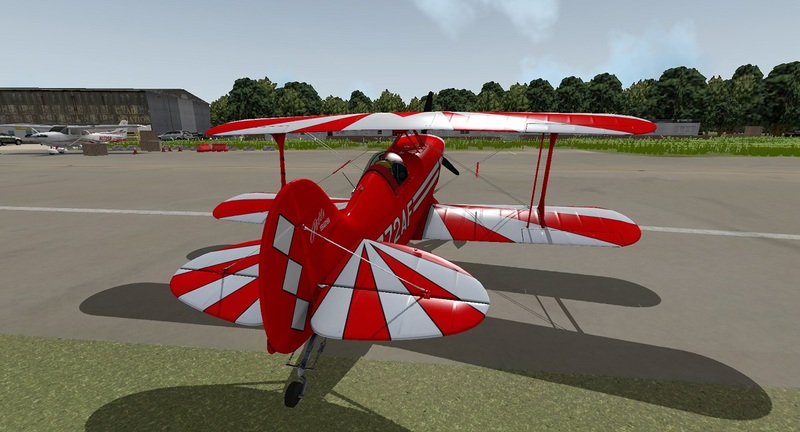 The real Pitts Special is a phenomenal aircraft, so does the Alabeo virtual version bring credit this aircraft deserves? 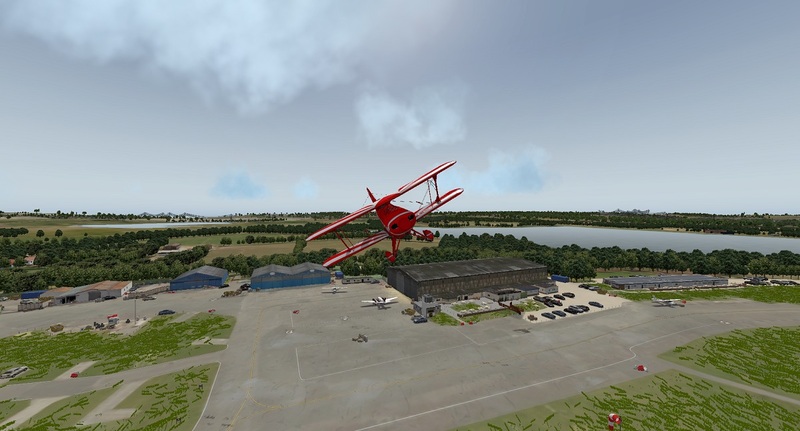 I decided to do an aerobatics flight over EGTR - London Elstree to find out! 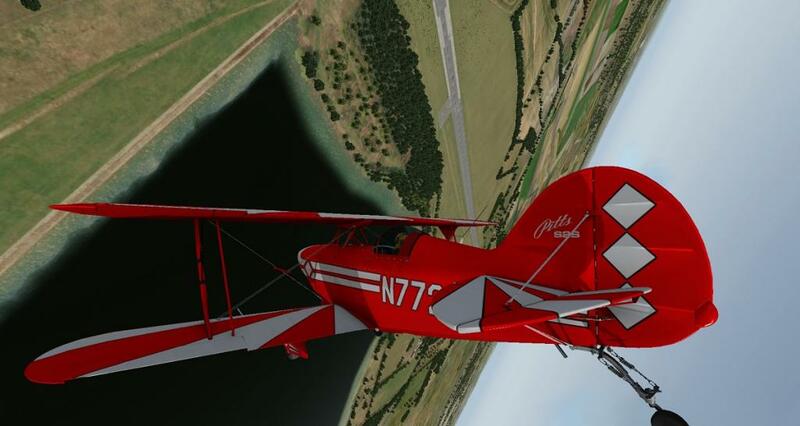 Flying aerobatics is great fun! Performing organized stunts in a remembered progression, confined to a small cubic area, is very challenging but also very rewarding! So I decided to take the challenge with the Alabeo Pitts S-2S, performing a progression of stunts in an organized manor of Elstree, London. 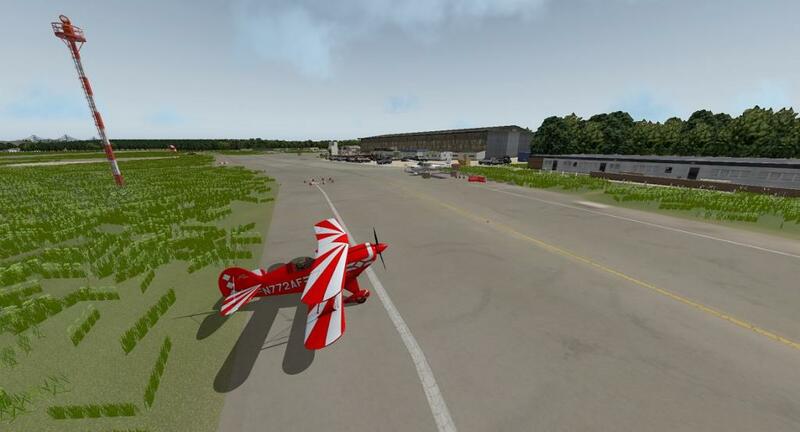 So I started with the Pitts positioned on the ramp, engines off, cold and dark. 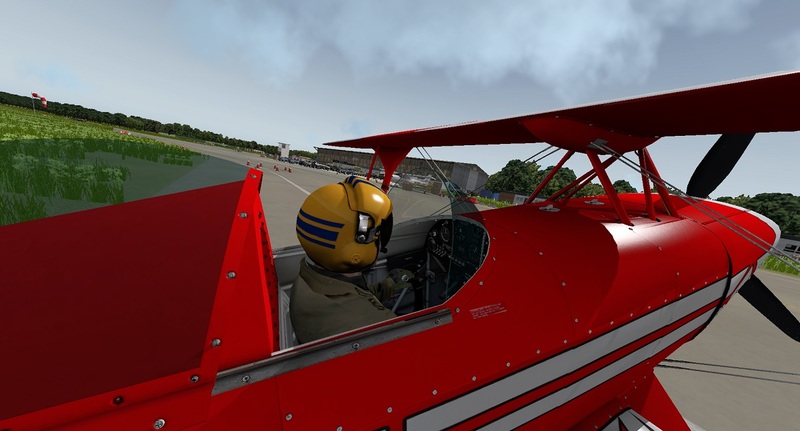 Seeing the aircraft and walking around it made me very impressed by the 3D modelling and attention to detail, from seeing a real Pitts S-2S in real life I can really relate to the real experience I had walking around the real Pitts! The 3D modelling, like always from Alabeo, has been done very well and accurately. Textures on the outside are great, every nut and bolt is clearly visible. My favorite textured area outside is the tail wheel strut, the dirty metal looks great and shows the 'real' age of the aircraft. It does look a little clean, but every well loved aircraft does! It makes me think if I could take off the cowling the engine would be in pristine condition, unfortunately that's not possible though! The actual tail wheel texture looks a bit odd though, I would expect a wheel to look a bit different to that! More like the main gear at the front of the aircraft where those wheels have been textured well. Another thing to notice is the 3D pilot, he is not optional though. When you are looking around outside he is sat in there whatever you do! A nice touch would be to make him optional. You can however move his visor up/ down, this can all be done in the pop out menu's. Opening the canopy, moving into the cockpit. 3D modelling in the cockpit is superb, every gauge, strut, button and lever has been modeled and there are no proportion issues or anything that looks 'out of place'. I really like the fact that you can 'feel' the depth of where you're sat when you look down, this type of view is what will make a device like the oculus rift shine, depth representation is very important for a Virtual Reality headset. 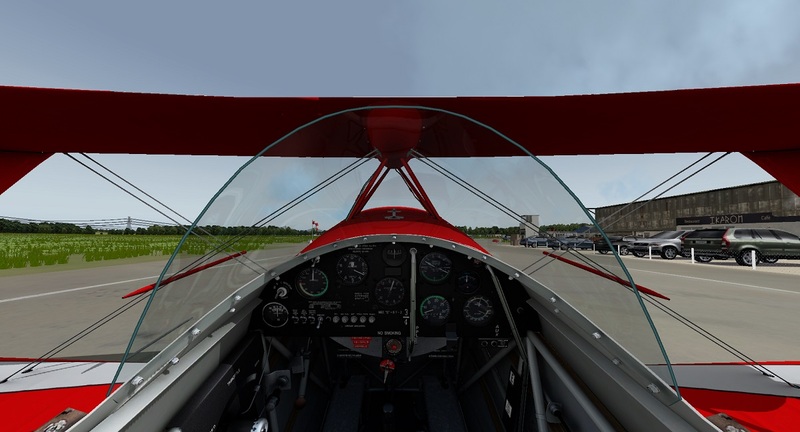 On the subject of VR, wouldn't it be great to do some aerobatics inside the Pitts and X-Plane and actually feel as though you are doing it! Looking down and feeling the depth of where you're sat will make the experience of VR much better. Texturing in the cockpit is very good, it's not clean yet it shows wear and tear. For example, I like the addition of worn throttle lever, very realistic. The glass canopy also has pre-rendered reflections which looks great from inside, there is also an option to turn the glass completely opaque which essentially removes any reflections and glass texturing. 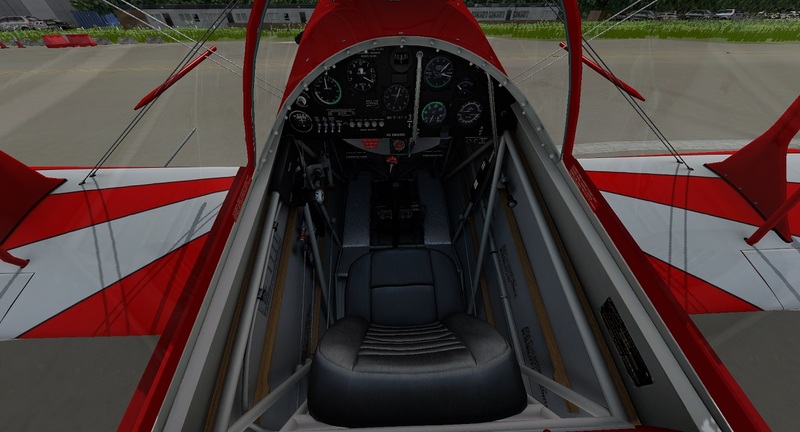 The first thing you notice when you enter the cockpit is the availability of instruments. The two main instruments you have are 'Speedometer' and 'Altimeter' the other common instruments such as 'Artificial Horizon', 'Turn Coordinator' , 'Vertical Speed' and 'Heading' are missing. It's common on a Pitts and other aerobatics aircraft to miss that although some previous models to the special had a turn coordinator. All of this just adds to the challenge! 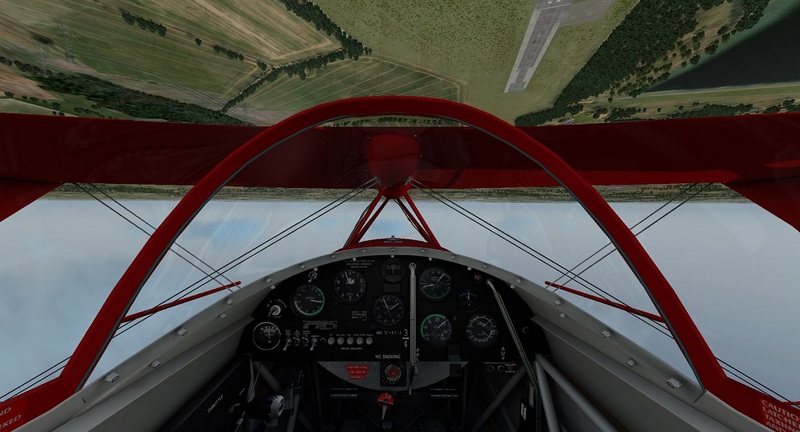 The idea of flying the Pitts is to do most things visually, using the visible horizon as a guide. This does help when doing aerobatics though as keeping a focus on the horizon level through the window helps to avoid any major crashing! After receiving clearance from the tower to start the engine and taxi to the holding point I then started the engine. Starting the engine is very simple, mixture rich, master switch on and fuel boost. Turn the the key to both and the engine will start if the throttle is left open a little. This is not a study level simulated aircraft so the procedures to operate it are very basic, that said flying loops and barrel rolls puts a smile on your face! I noticed one thing, after turning on the master switch my oil temperature instantly was set, the needle did not rise but was just instantly placed. 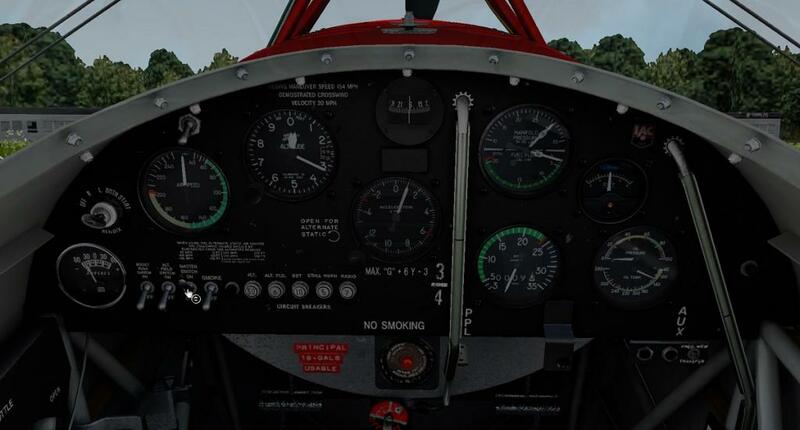 It would be nice for the Pitts to simulate a slow rise after the master is switched on, this is only a very small detail though. 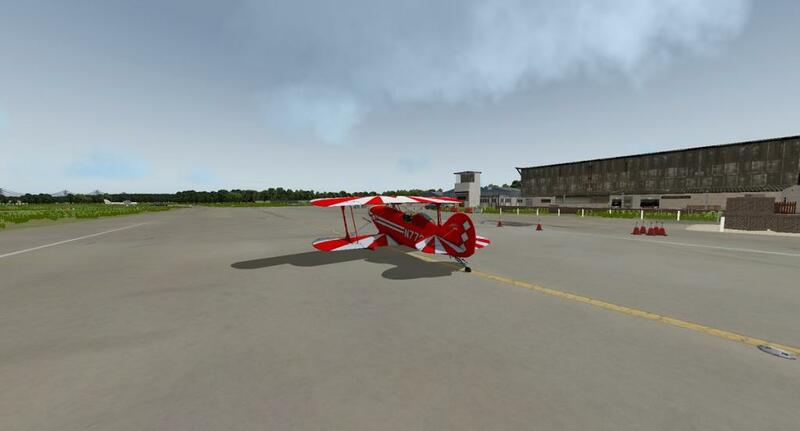 The Pitts is very responsive to all changes, I felt that my joystick inputs where picked up a little too sensitive so I decided to reconfigure a few of my X-Plane settings, after though the aircraft felt a little heavier to move which I believe is more realistic. 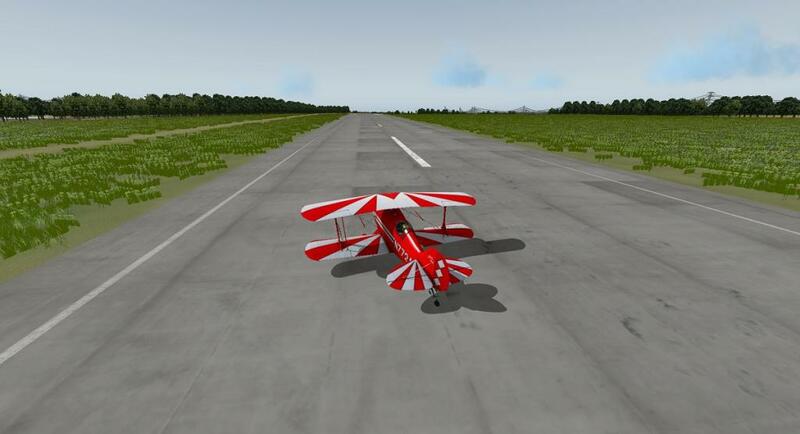 The Pitts was very hard to control on the ground, I have never controlled the aircraft for real on the ground but I don't believe that the tail wheel sliding around like its on ice is the most accurate of representations! 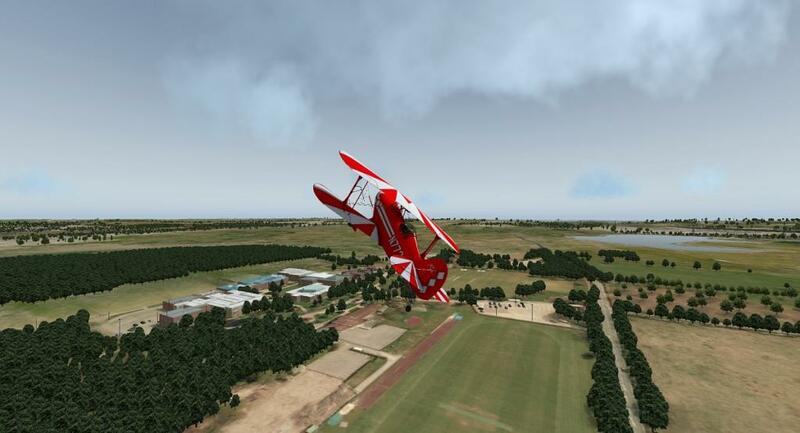 So onto the fun stuff... Aerobatics! 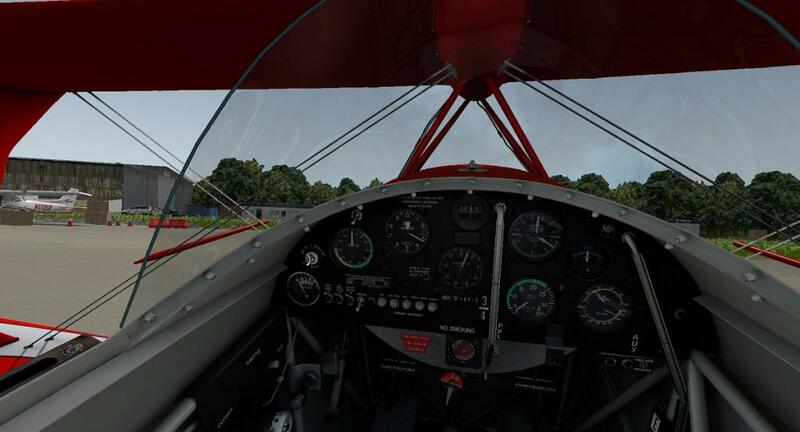 The first move I tried was a barrel roll, just a simple aileron roll to the left or right, no rudder needed. 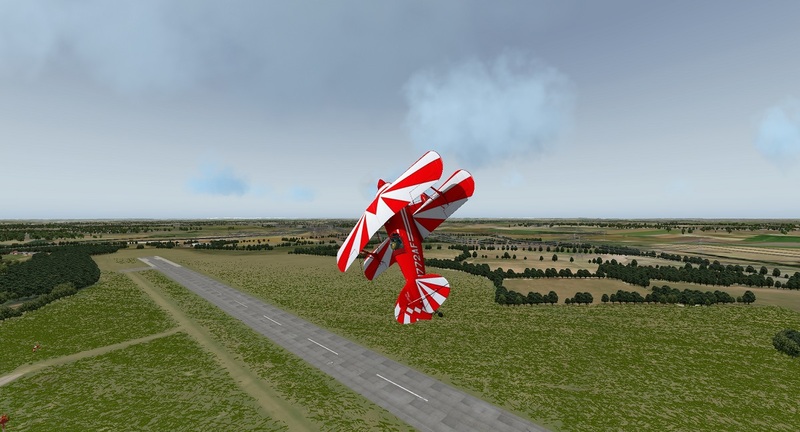 This is a great aerobatic move, it's fun quick and easy, it can also be made more challenging by doing it closer to the ground. The second move was the loop, full throttle into steep climb pulling back. 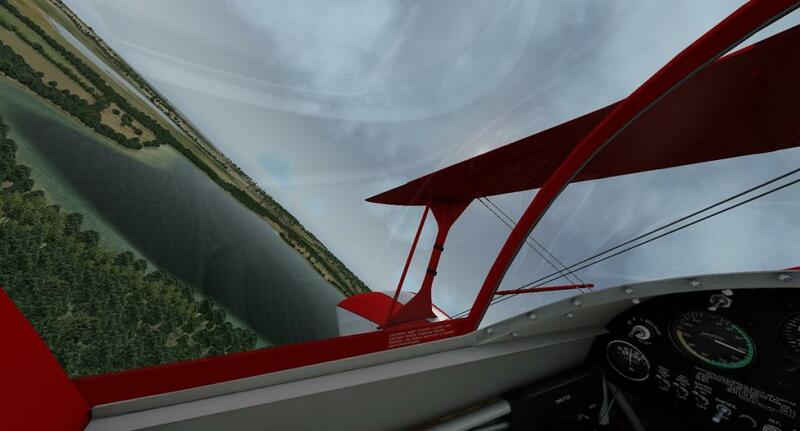 At the top, reduce throttle and gently let the plane fall back on itself to complete the loop! 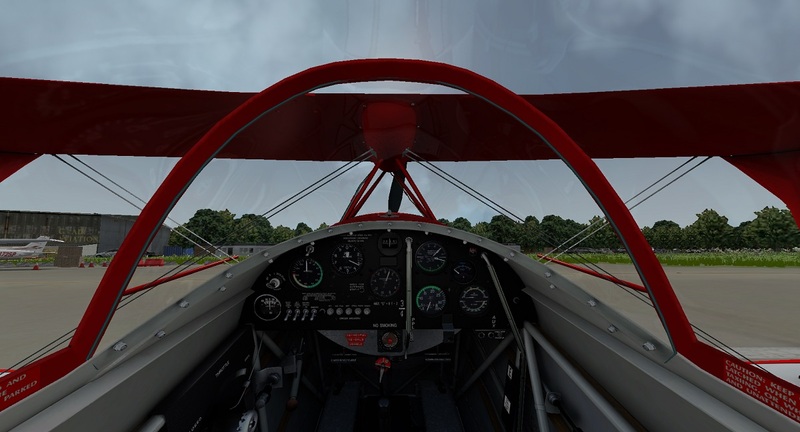 It looks great from the ground and it feel great in the Pitts too. 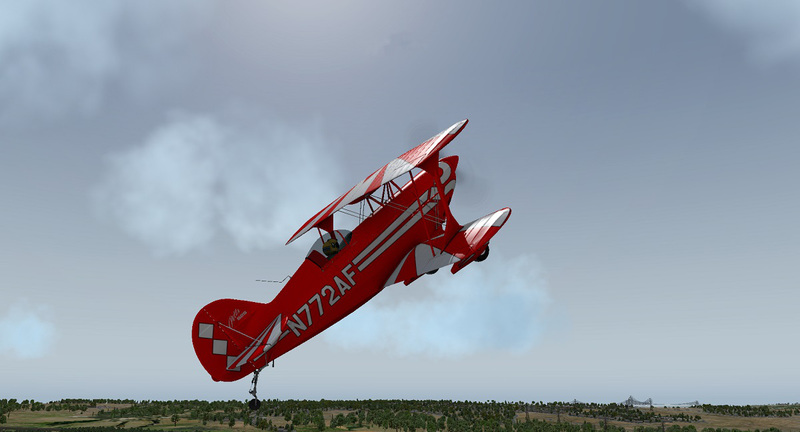 On all moves I performed the Pitts flew flawlessly, Alabeo have found the balance between agility and power which makes it fun to fly. The engine is not so powerful that you look like a space rocket but just powerful enough to perform great stunts and be able to recover safely. The iconic feature of this aircraft and all that perform aerobatics is smoke that leaves a fantastic trail behind the plane. When I saw the smoke button in the cockpit that is what I expected to happen, instead the default smoke came out which as you may know is not very white and fluffy! So an improvement there would be for Alabeo to make such system or plugin for the white fluffy smoke that leaves a long trail. 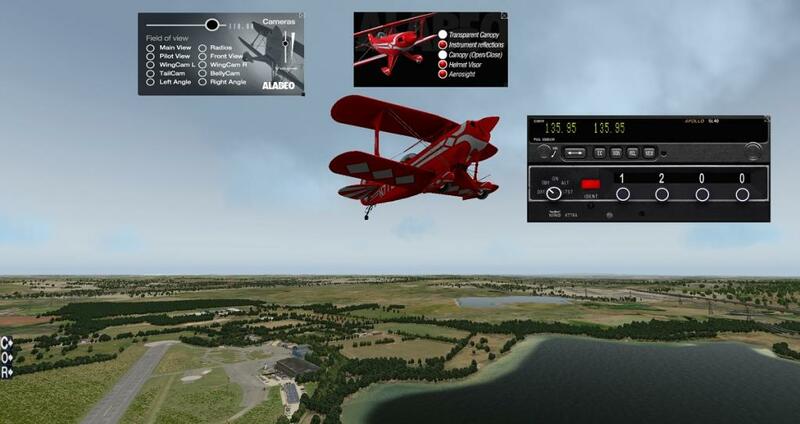 As with all Alabeo aircraft you get a side menu that never goes away. It would be nice to be able to hide that menu from the screen. From the menu you change your camera view which is a great feature, especially when performing stunts! There are many camera options to pick from and the camera moved instantly but I did suffer a slight bit of lag. The second menu is the option for certain changes you can make specific for this aircraft. For example you can add or remove the aerosight, put the visor up/ down on your pilot, instrument reflections on/ off and transparent canopy on/ off. These options are fun to play around with. 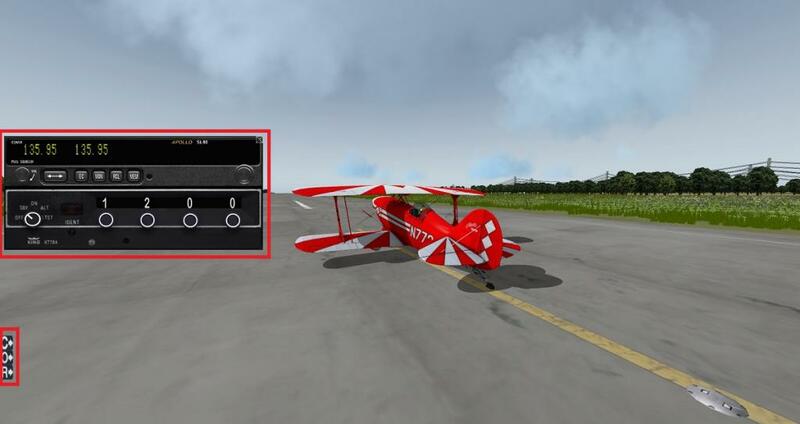 The third menu gives you quick access to your radio and squawk box, this is most certainly needed as flying without it in x-plane would be very tricky. Inside the cockpit the radio is virtually impossible to see from pilot head POV, therefore this feature is great and shows Alabeo have thought about user experience. 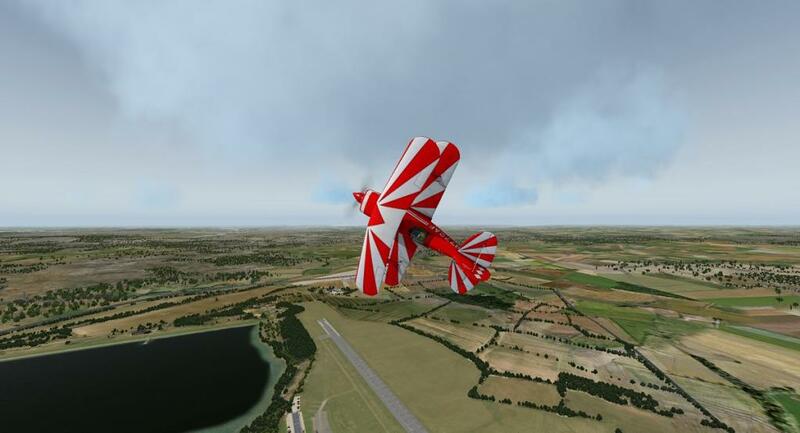 Overall I believe that this aircraft is certainly the best aerobatics capable for X-plane, it looks great, its fantastically fun to fly, sounds realistic and functions as you would expect. 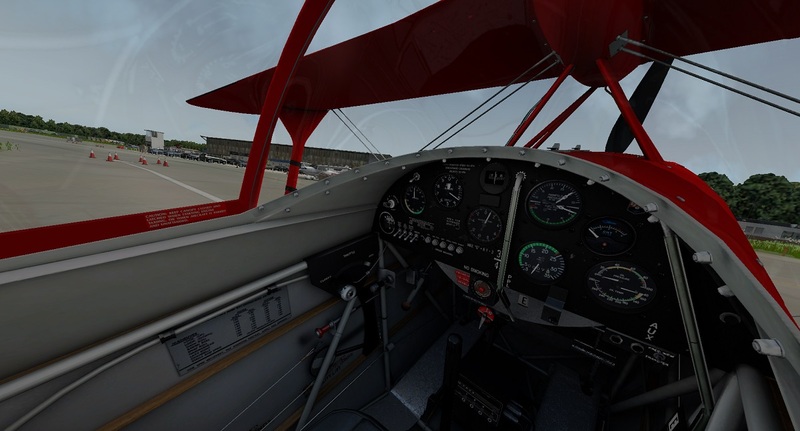 It is a little touchy on the flight controls but once it's adjusted in X-plane settings the plane feels heavier and more realistic. There are a few issues I found such as the instant rising needle upon start up but apart from that Alabeo have made a great product. 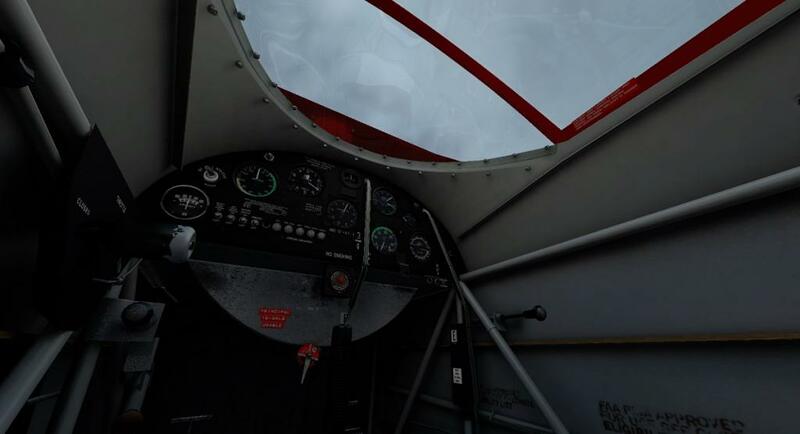 The canopy is not operable from inside the cockpit, or it might be but I couldn't find the switch. The only way to move the canopy is by the menu, it can be annoying if you open it and close it a lot. Not a big issue though. 3D modeling and texturing is great, only two liveries by default though, more would be nice. You can however download some from Alabeo's site at no extra cost, and as always you can design your own! (blank livery included). 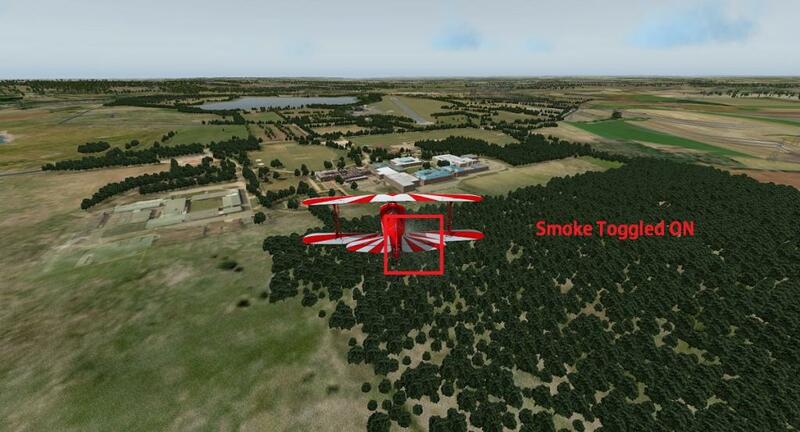 The feature of smoke trails would be great, or if Alabeo don't do it maybe someone else will. 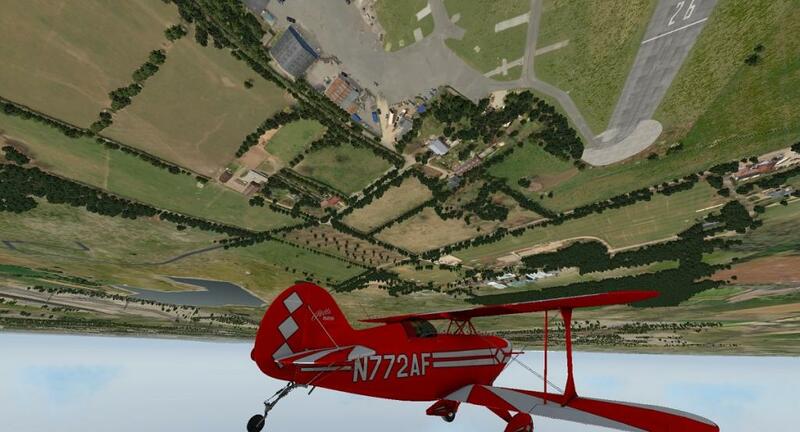 It would be great to leave a trail in the X-Plane skies! Multiplayer would be very fun with that addition as well! 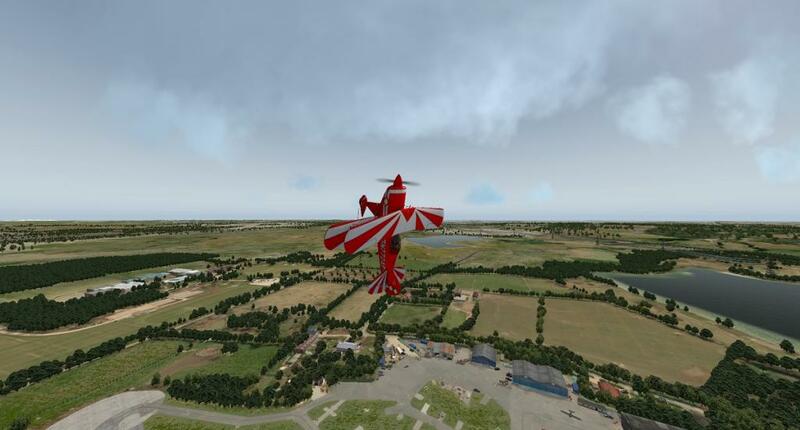 Documentation is good, you get the standard from Alabeo however you also get an aerobatics manual. This manual tells you how to perform a variety of maneuvers with pictures to assist the explaining, very nice touch! 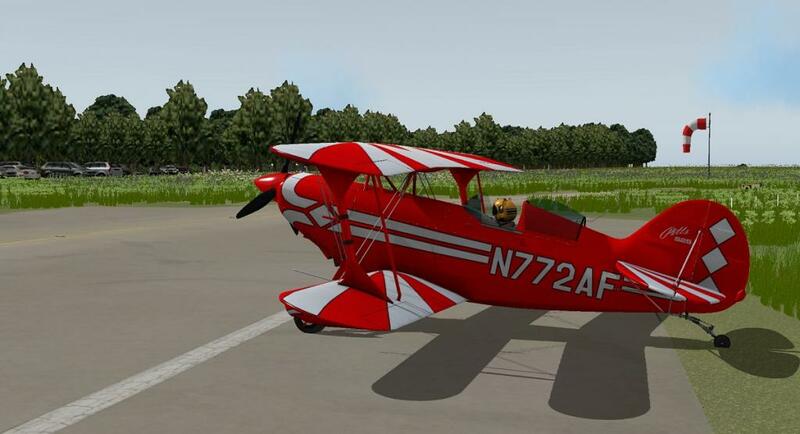 This aircraft is great fun to fly and has been modeled and textured with great detail, I certainly recommend it! 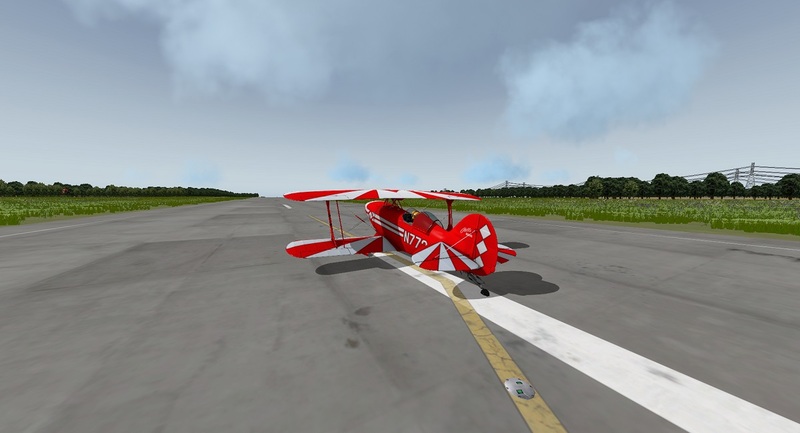 Where can you get the Pitts S-2S? 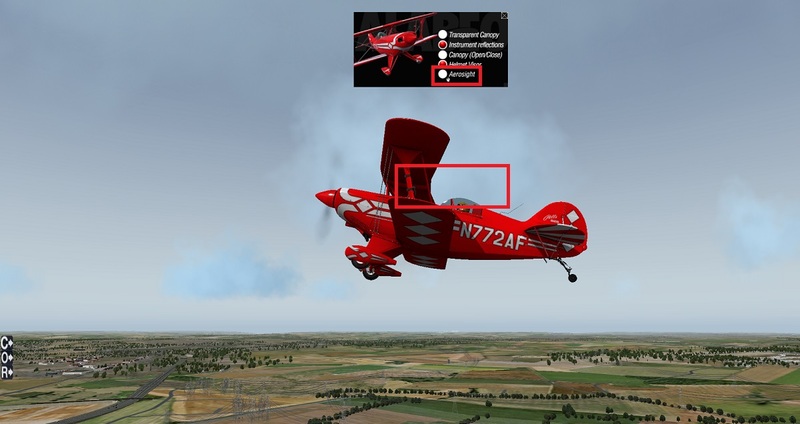 Is the Pitts biplane ready to use in Xplane 11 given its a few years since last update? The throttle range and control in Xplane 11.05 for the Pitts is terrible and doesn't respond properly. Is this due to it not being updated for version 11? With a lot of advanced throttle control (adding & retarding) it can be flown, but it does make it hard to stay on target through maneuvers. 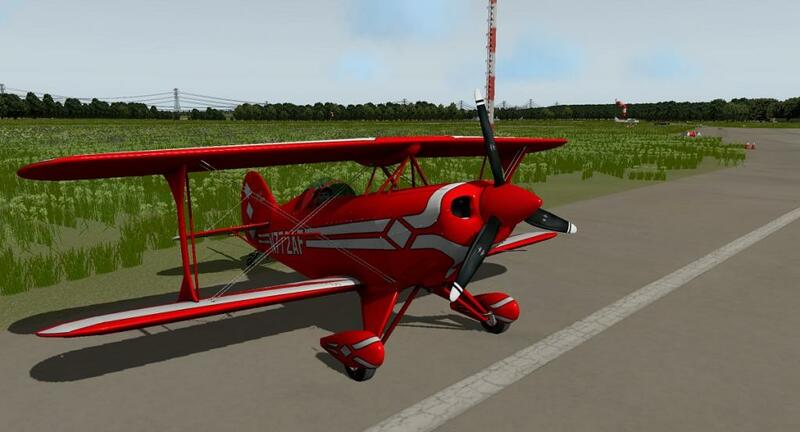 I just purchased this plane and yes I knew it hadn't been updated in a very long time, but I would surely hope they don't abandon it for use in the current and future versions of XPlane. I really like this aircraft and think it would have fantastic potential if the throttle & prop controls are updated to work.